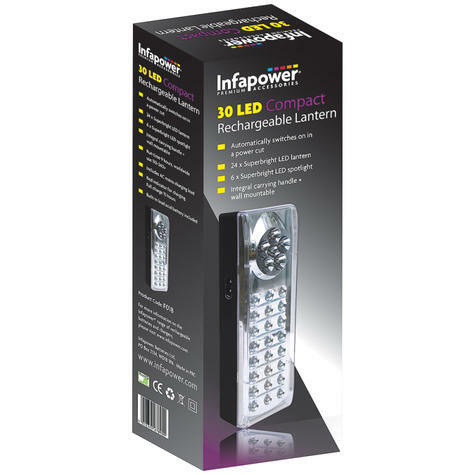 Infapower's Compact Rechargeable Lantern is ideal for emergency use, it automatically switches on in a power cut. 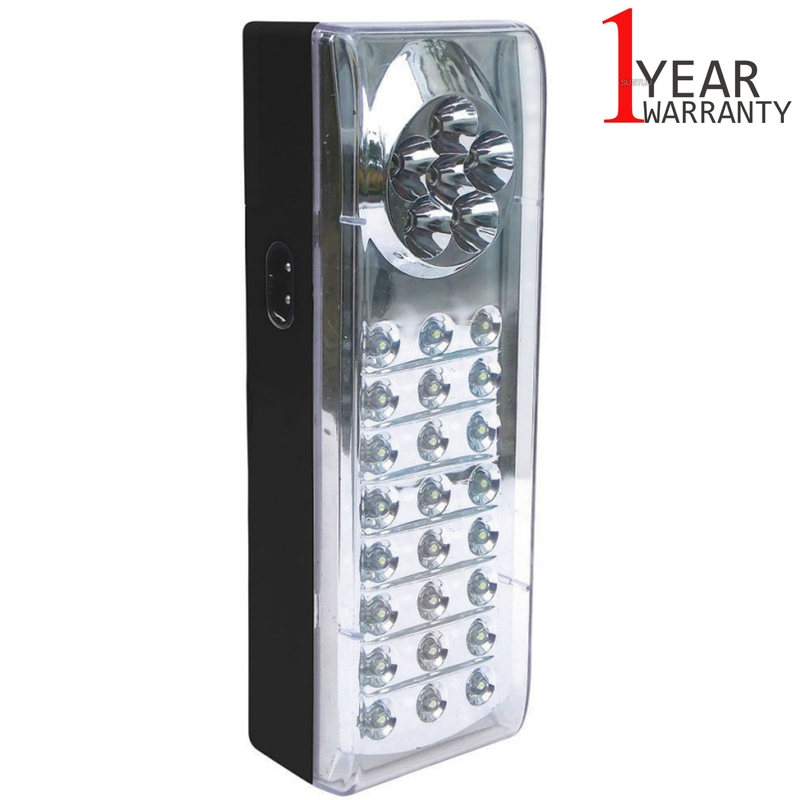 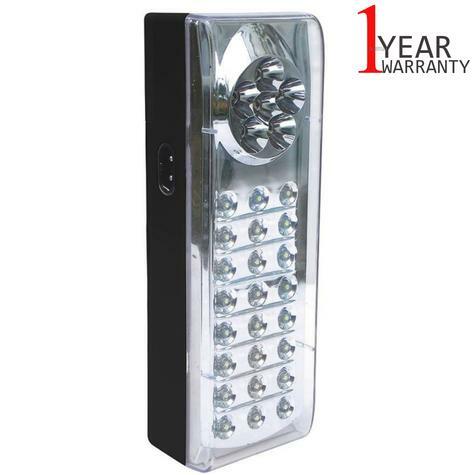 It has 24 Super Bright LEDs for lantern use and 6 Super Bright LEDs for spotlight use, totaling 30 LEDs. 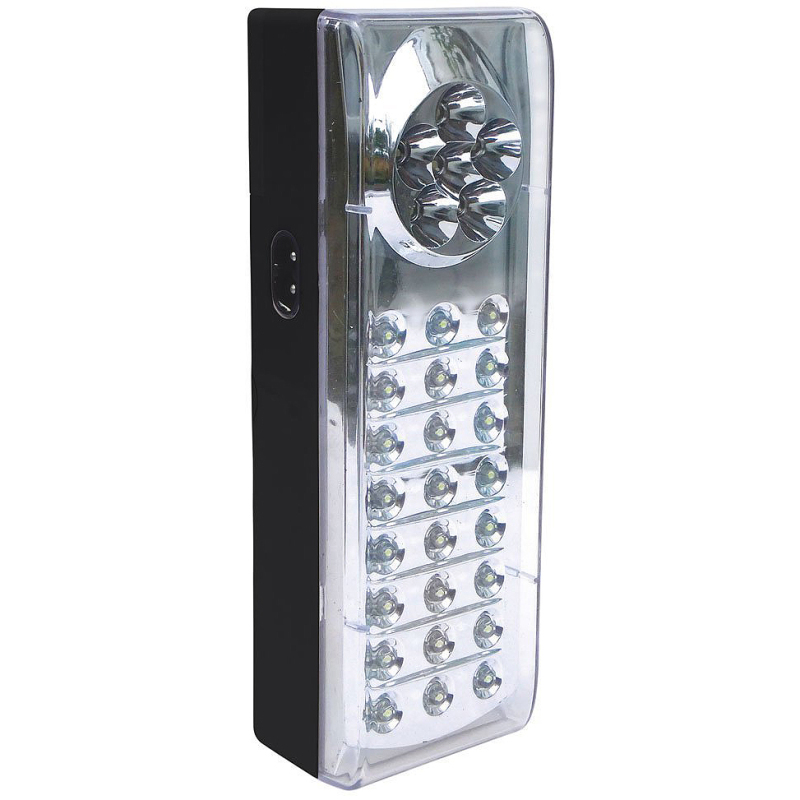 Ideal for home, car, outdoor leisure and emergency use.